What to do in your trip to Toledo? Toledo is that city that is oftenly visited when visiting Madrid. What not many know is that the city has such history to offer. For this reason, here are the best valued tourist attractions by travellers. First of all, the city center. A tour around Toledo cannot miss going up to the city center, that will transport you to the Medieval. Besides, try to take the opportunity to visit it during Christmas, its Christmas decoration is beautiful. Secondly, travellers recommend visiting the Manchego Cheese Museum, placed next to the Cathedral. Free access, offers a wide range of wine tasting and quality cheeses where they explain you the elaboration process. Thirdly, the Valle viewpoint. Placed few kilometers away from Toledo, is a must visit to enjoy the best views of the city. Because is not possible to visit it by walk, a good option is doing a tour in Toledo. Lastly, the San Juan de los Reyes Monastery. Enjoy its visit to the magnificent cloister for a reasonable-priced ticket. 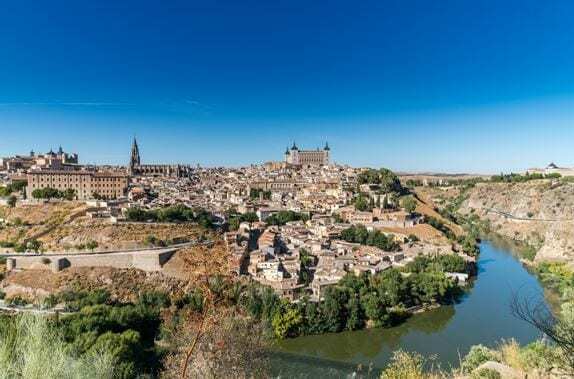 Compartir el post "What to do in your trip to Toledo?"